Infinite Loop is the largest exhibition in the UK for several years of work by AC﻿S members Langlands & Bell and it follows their recent permanent commission at Piccadilly Circus Underground Station. 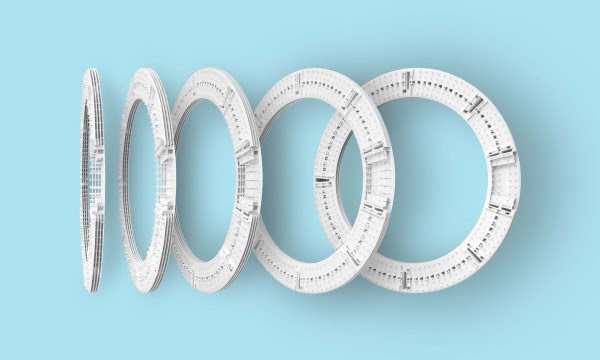 The exhibition, featuring new prints and wall sculptures, depicts the futuristic architecture of 21st century internet giants, including the new headquarters of Apple, The Gates Foundation and Facebook, to explore how these structures convey notions of power and human interaction. To find out more, visit the Alan Cristea Gallery’s website here.